Though LinkedIn built its reputation as a platform for managing professional connections, it has also become a destination where professionals look to the world's foremost experts for thought leadership. 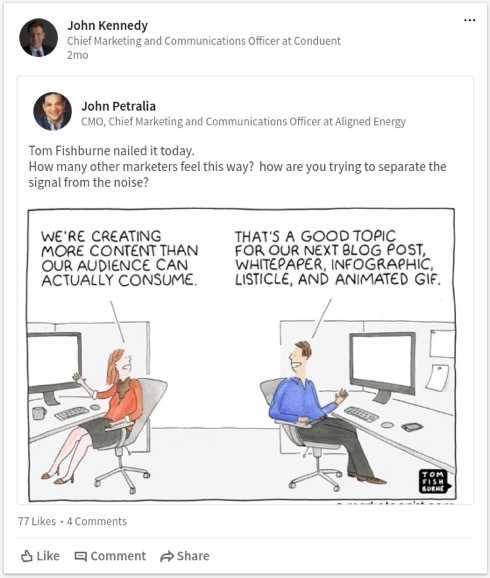 And as a resource that empowers professionals to engage audiences via custom content, LinkedIn serves as a foundational element of many company and personal brands. CMOs are, by necessity, well-acquainted with this social opportunity, which is why so many of them actively create, share and engage with content on LinkedIn. 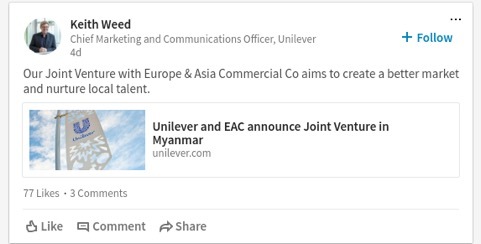 For other marketers, this presents an opportunity: By identifying the top CMOs to follow on LinkedIn, you can learn from their example and stay on the leading edge of industry developments. Here are five CMOs who lead by example on LinkedIn. With nearly 150,000 followers, Keith Weed is one of the platform's most influential CMOs. 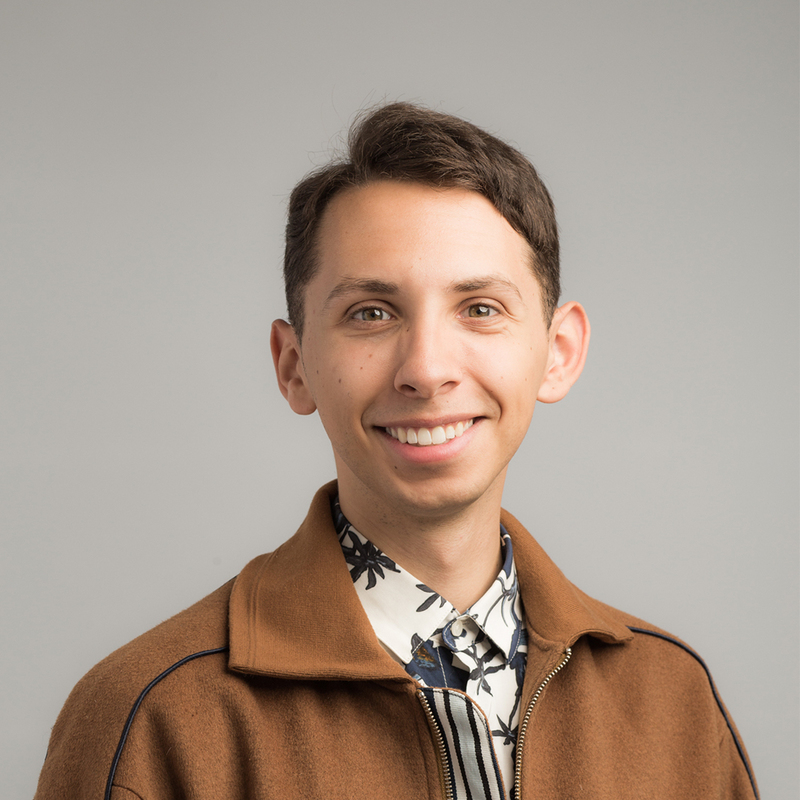 His posts carry considerable clout, covering everything from trends in content creation to Unilever company updates, to guidance when targeting an audience. 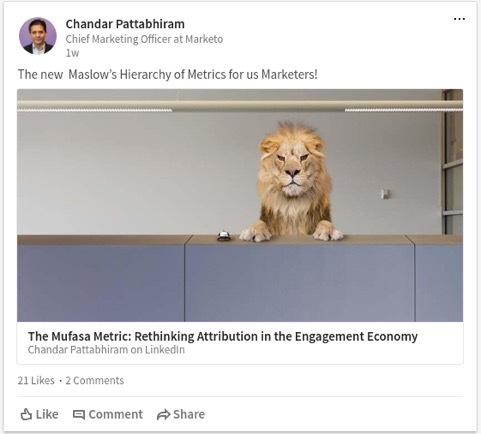 Marketo uses LinkedIn to generate significant gains in its digital performance, and its Chief Marketer, Chandar Pattabhiram, has been a big part of that initiative. Recent campaigns using Sponsored Content and Sponsored InMail beat the company’s event registration goal by 46 percent. 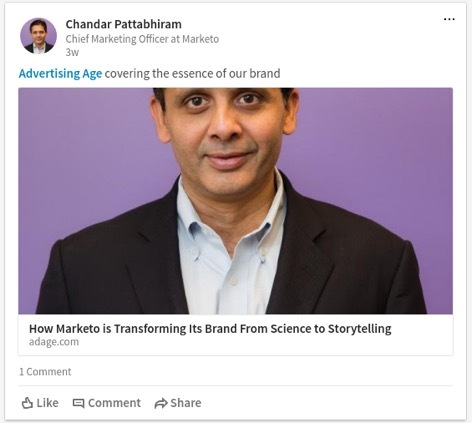 Marketo has seen great value from its LinkedIn activity, and Pattabhiram uses his own LinkedIn account to build his personal brand as a leader at the intersection of storytelling and science. If you’re interested in a more data-driven approach to your marketing strategy, Pattabhiram is a great resource. 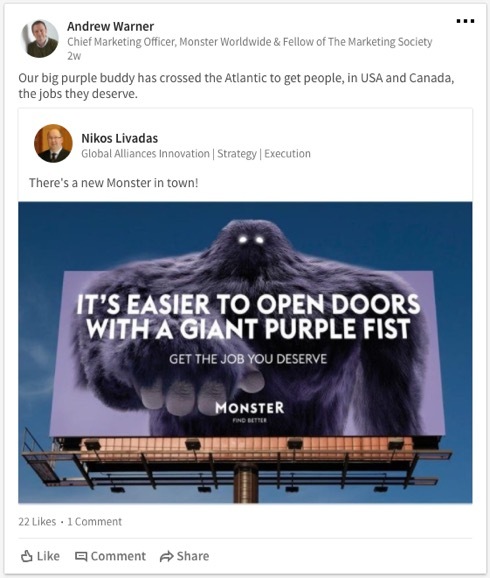 After scaling the ranks at Monster, Warner uses his LinkedIn profile primarily for employee advocacy, sharing news about his firm that promotes its latest initiatives and accolades. Warner also engages with a wide range of business content, covering topics from work/life balance to the tech industry at large. His activity is worth following for anyone seeking a career in tech—or for a veteran seeking new opportunities. 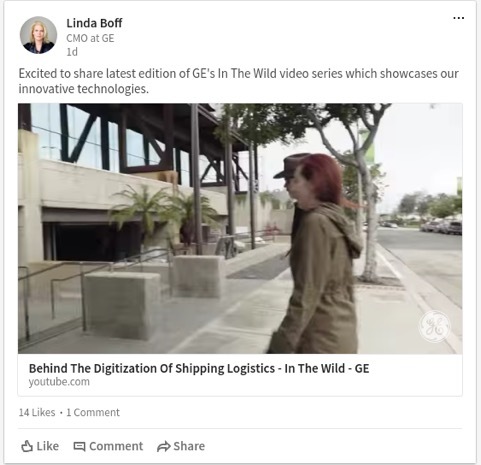 Since assuming her role as GE's marketing lead, Linda Boff has become one of the most visible and influential CMOs in the world. 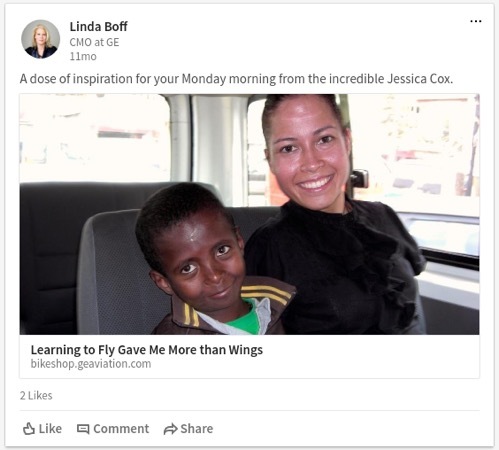 She uses that influence in a variety of ways on LinkedIn, sharing content that features stories of women working at her firm; She also showcases the real-world changes that GE's innovations bring to everyday consumers. Not only is Boff one of the most visible CMOs on LinkedIn, but she is tasked with leading marketing innovation for a company that wants to be seen as a disruptive force on several fronts. 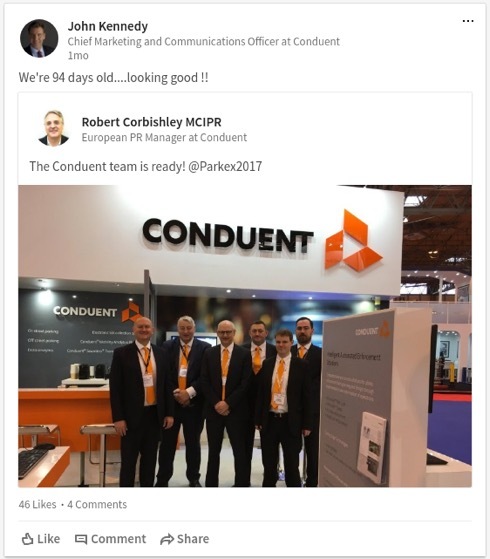 After making a name for himself as Xerox's CMO, John Kennedy has since taken on the same role for business process services startup Conduent. His background and diverse experiences make his LinkedIn presence a particularly interesting one to follow. Kennedy shares insightful content about the state of modern marketing and what he believes the future holds. He also offers behind-the-scenes glimpses into the growth of a startup. Whether you’re an established CMO or a young marketer with dreams of launching the next great organization, Kennedy is a worthy follow. Pay attention these prominent CMOs on LinkedIn – it’s well worth your time. Fill your feed with smart analysis and insights from the industry’s leading experts. Get more tips and marketing insights by subscribing to the LinkedIn Marketing Solutions blog.